← When I finally qualified to join The Society of Authors, I really thought I’d arrived. There’s something magical about a boat trip. The excitement of climbing on board, the unknown element that you may end up somewhere you had not planned; perhaps the sea, in her mischievous devilment, may deliver you to unchartered territory or some desolate island far away from civilisation. The sun was warm on our backs and the sky was a cloudless Mediterranean blue; a good day for seafaring. The surface of the water twinkled in diamond brightness the reflection of the fresh spring sunshine. Yes, like some intrepid explorer, I stood amongst the jostling crowd to purchase my ticket to ride; eager to climb onboard before the gangplank was pulled back onto the harbour edge, frustrating my desire to seek new horizons. My two sons tugged at my sleeve as another serving window (of opportunity) opened. 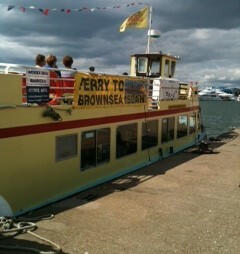 Our tickets bought, we boarded one of the Brownsea Island Ferries’ little Yellow Boats. Every passenger chose the top deck, so we had the lower deck entirely to ourselves, which was quite a relief given the level of excitement building up in my sons, they were able to swap seats at will and dash from window to window without annoying a soul. The engines roared into life as we pushed off and headed out of Poole Harbour towards Brownsea Island. 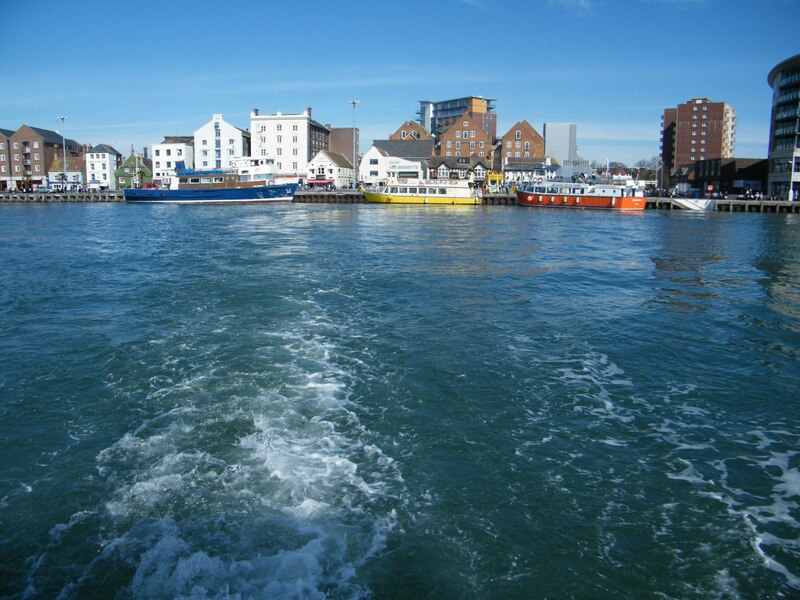 There was a very definite ‘holiday’ feeling as we waved goodbye to the highly populated and noisy tourist trap of Poole Harbour; the tower blocks, cars and motor bikes soon shrunk in size until it looked like Toy Town that could be packed away in a small box. The sea bubbled and foamed behind us as the engines propelled us out to sea and the assortment of dinghies and larger vessels bobbed up and down in our wake; like recently awakened dogs, they seemed to be saying “take me, take me”. But they were securely tied to their moorings, so no escape was possible. A Great Cormorant sat like a sentinel on one of the tall posts that marked the route through the shallow waters of the harbour. It gave us a cursory glance, possibly to see if any fish had been churned to the surface by the growling motor. The smell of the sea water drifted up on the gentle breeze, not the unpleasant smell of the day old fishing trawler, but the sour/sweet smell of salt and seaweed. It seemed only a few minutes before we reached our destination. The skipper informed all those who wished to leave the boat and step ashore to Brownsea Island, should do so, or continue their journey around the rest of the small islands. We hurried to the gangplank, we had some exploring to do and discoveries to make, oh and sandwiches to eat. National Trust membership card at the ready, we quickly made our way through the reception area and onwards. A quick trip into the Public Hide; a place where devoted birdwatchers can sit and wait for a sighting of some unusual feathered friend that inhabits the Wetland and Lagoon. Two sons spend their time opening the oblong windows ‘for a better view’ then spend the remaining 80 seconds closing them. Not noisily you understand, but just enough to disturb the wading birds that our neighbour had been enjoying until we arrived. 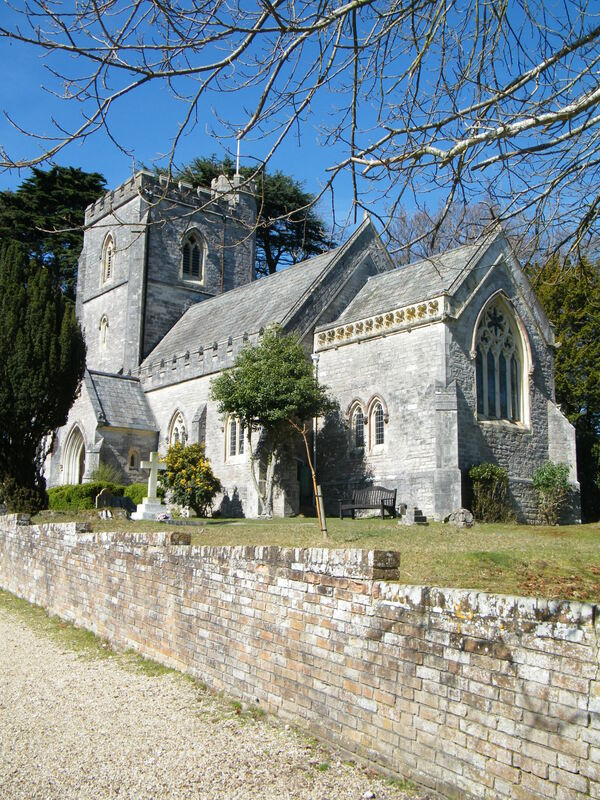 Onto the open lawn with benches and trees, St Mary’s Church and the woodland backdrop aka the perfect picnic spot. Unless peacocks bother you. Tell your sons a million times not to feed the birds, but still the accidental ‘crumb’ the size of half a crust seems to find its way onto the floor! I won’t spoil it for you, there is so much to enjoy on the Island, but I will tell you we saw not one but two red squirrels. Whilst I have seen them as a child, before the greys completely destroyed the population, I felt truly privileged and hugely excited to see them for real, in the flesh. Even my sons were caught up in my enthusiasm. It was perfect weather, sunny and warm and a lovely time was had by all. I completely understood how this tiny island became home to the boy scout movement thanks to Lord Baden-Powell and how Enid Blyton may well have based Kirrin Island on this beautiful unspoilt perfectly preserved adjunct to the mainland. But keep it under your hat, we don’t want it overrun with tourists now! This entry was posted in Family Days Out and tagged Brownsea Island, day trip, Enid Blyton, ferry, holiday, Kirrin Island, Lord Baden-Powell, red squirrel. Bookmark the permalink.